Tom sent out a note yesterday after my double star nudge. Thank you - I have decided that Downtown T.O. is good for the Moon, an occasional planet, and, most of all - Double Stars - can't wait to check these out! Indeed! Doubles are awesome targets when there's light pollution or you can't otherwise get out of town. Issued my double star "bulletin" for June. It is a short list of suggested double and multi-star targets. I shared this on the RASC Toronto Centre forums. And I post here for all. With the full Moon phase approaching, you might think you can only clear eyepieces. In fact, you can do lots of astronomy. Double stars, for example, punch through bright skies so you can observe them any time, anywhere! Here’s a short selection of doubles from my life list, ones I find rather cool. Targets in Lupus will require good southern sight lines and good seeing. And alpha Librae is right beside Jupiter! Please consider adding double stars to your observing list. They are fun, easy, sometimes challenging, interesting, colourful, and dynamic! holler if you have any questions. Go! The rough cut of the live stream is online. This is from the RASC Toronto Centre Recreational Astronomy Night meeting on Wed 20 Jun. Presenters include Chris Vaughan delivering The Sky This Month and the Nath family on predicting potentially hazardous asteroid impacts. I talked about my barn door tracker with alt-az base. My presentation begins at 1 hour 7 minutes. "Worked" at the David Dunlap Observatory for the day with Chris and Bhairavi. Sorted many things including computers, info tech equipment, the new Skylab projectors, telescopes for lawn observing, craft supplies, etc. Did some prep of the SkyLab room for my delivery on Sat 23 Jun. As Chris did some tests in the dome, I was able to observe. The day went very fast! 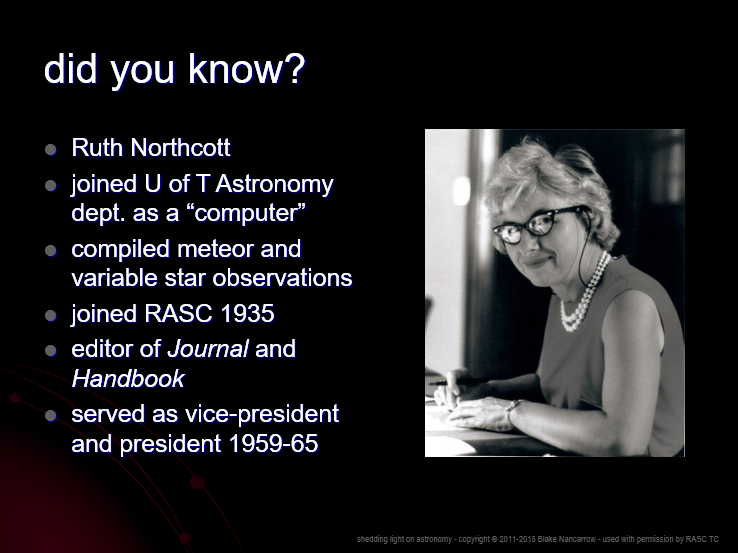 Remember if you can't make RASC Toronto Centre meetings in person you can watch online. 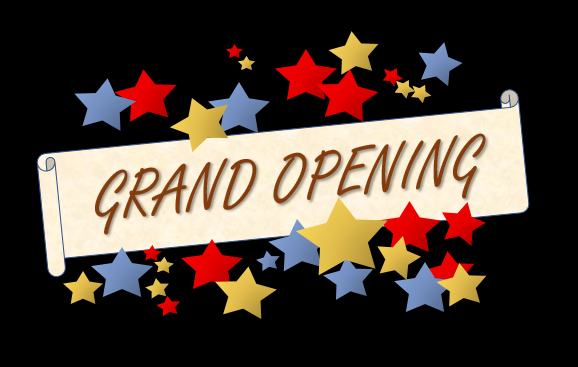 Our live stream will start shortly before 7:30 PM EDT. Once again, this evening, I'll be delivering a talk on my barn door tracker (with integrated alt-az base) construction project. And with respect to tonight, 20 Jun '18, as there is another big event happening at the OSC, RASC members are reminded to bring their ID cards. And to be clear, your RASC member cards are not mailed out anymore; you can print your own after you log into the RASC store and access your membership account. Or copy the PDF to your smartphone or tablet. The Burke-Gaffney Observatory imaged HD 164863 aka SAO 186216. This is a multi-star system in the constellation Sgr. In the middle of open cluster Messier 21 (M21). Viewed the star system in July 2015. I had not split the G, E, and the C stars. Luminance only, 1 second subexposures, 20 stacked shots. FITS Liberator, GIMP. North is up; east is left. A is the brightest star, of course. B and C, merged, are to the north-west. They are too close together for BGO to resolve. D is the somewhat bright star north of A.
E is an extraordinarily dim star north-east of A, inline with a number of bright stars aligned to the east-north-east. Barely visible in the photo! That seems very strange. F is east-south-east of A, opposite BC, twice the distance. G is the dim just close to F, just north. Actually, north-north-west. Never spotted before. H and I are the equal stars, dim, to the west of BC. Double star V4202 is visible to the south-west, far away, near the edge of the image. A bright primary and dim secondary to the north-east. A non-related star to the east makes for an attractive little triangle. The wide pair LYS 32 is due south, also near the edge. Nearly equal stars, oriented south to north. Ordered the BGO robot to image HD 164492 aka H N 40. This multi-star system is in the middle of the Trifid Nebula. I have tried on many occasions to split the stars in the centre of the M20 and B85. A is the brightest star, to the north. B is north of A, somewhat bright, with a hint of a black line between. C and D are merged in this photo but clearly making a rod shape oriented east-west. SkyTools says they are 2.3" apart, below the BGO's limit. E is the dim star below or south of CD. I have never split the E element before. F is the very dim star east of AB. At a 90° angle to the line of the other stars. I have never seen the F partner before. G is the dim star, about the same as E, to the south-west, inline with B, A, CD, and E.
It is really good to dig out some of these challenging stars. I asked the Burke-Gaffney Observatory to image Messier 24. This open cluster or "star cloud" aka IC 4715 in Sagittarius I only have a single log note for so I wanted to revisit. First viewed this target on 5 Jul '08. Luminance only, 5 seconds subexposures, 20 stacked shots. FITS Liberator, GIMP. North is up; east is left. It took me a while to identify the field. Compared to the location marked in SkyTools 3 Professional, this field of view is west and south. The amazing wikipedia says that some improperly identify M24 as the faint cluster NGC 6603. This is what happened in ST3P. Ending up in this slightly different location however was fortuitous. This field includes other catalogues clusters and some double star systems. West from centre, near the edge of the field, is a tight, nearly equal pair of stars orientation north-west to south-east. This is the double ARA 468. South-west of centre, a short distance away, is a small grouping of bright stars. 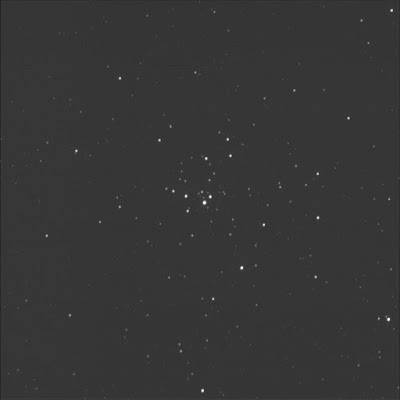 This is the Turner 4 open cluster. It appears to have some double stars within it! 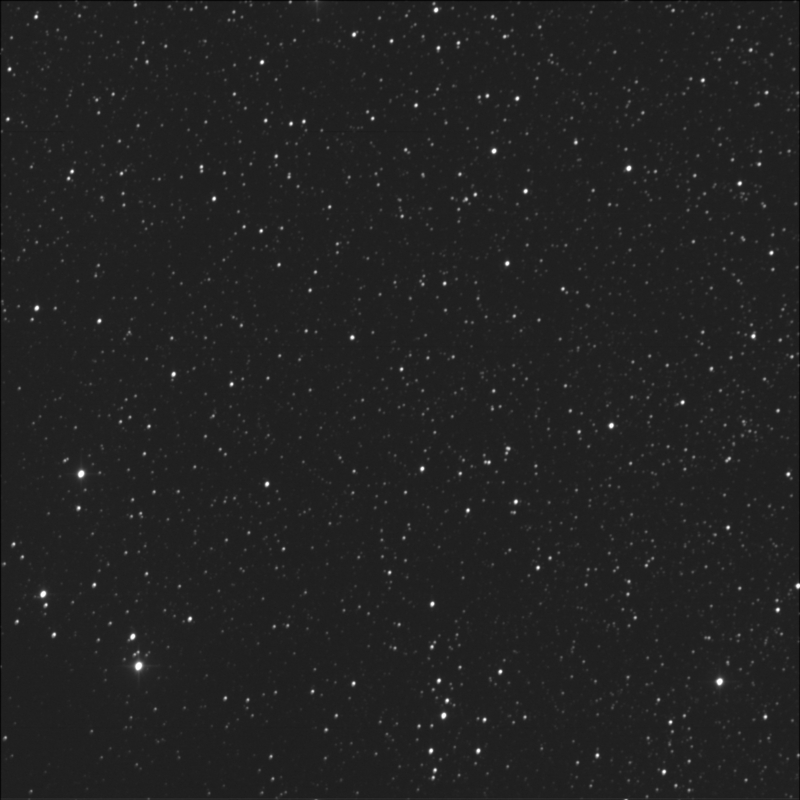 South, near the edge of the frame, is a large grouping of stars, some of which are arranged in a scraggly vertical line. This is open cluster Turner 2. The wide pair ARA 470 is at the southern limit of this line. Open cluster Turner 3, with what looks like a little Cassiopeia W-shape of stars, east of 2, is partly cut off. South-east, well away, is the multi-star system HD 167863 aka SHJ 263. The primary is the bright star to the south. B is bright too, not as much, to the north-north-east. Between A and B are the pair of stars S and T, west to east. They are equal. Inline with S and T but further east is the U element. U is dimmer. West of S and T, in a similar alignment, is the fainter pair of V and W. V is to the north-west and dimmer than W. The R companion is near B, to the south-east. A neat little system. Note: it is a target in the AL advanced binocular programme. ARA 473 is a simple pair to the north-east. Wide. Actually, the A star is slightly dimmer than B. The SkyTools chart shows B is mag 10.9 vs 11.7. Upon review, I think I"ll leave M24 in the View Again list. It should really be viewed with binoculars or at very low telescopic power. Wikipedia link: Sagittarius Star Cloud. Found the TELKOM 3 satellite in the star trails images. The images below were captured on the evening on Thursday 14 June from the Carr Astronomical Observatory on the Blue Mountains. The times shown are Eastern Daylight. Shot 8012. At 11:47:36 PM. North-bound airplane over the house. Shot 8013. At 11:48:23 PM. That plane continues north. Shot 8014. At 11:49:10 PM. Flashes appear inside the Big Dipper pot. Shot 8015. At 11:49:57 PM. Flashes above UMi and thru Dra. Shot 8016. At 11:50:44 PM. Flashes below the head of Draco. Shot 8017. At 11:51:31 PM. Flashes in Cygnus. Shot 8018. At 11:52:18 PM. Gone? Shot 8019. At 11:53:05 PM. Gone. Image from Heaven's Above, rotated. Did a super-quick stack of the star trails, still hoping to see something... Made from 1024 wide JPGs. Using the data gathered on 14 Jun. 200+ lights. 15+ darks. DPP. StarStaX. Made a series of darks for the star trails on the weekend. Did it indoors as the air temp was around 14 to 15 degrees. Shot at ISO 1600, 45 seconds, daylight WB, with the fisheye at f/5.6. RAW format! With the same 2 second gap. I received a notification from the Clear Sky Alarm Clock system for the BGO - SMU location. Good skies were predicted for 22 hours. And I knew the robotic observatory was "back from vacation." Rhonda and I received our RASC membership cards from the national office. Ooh. Colour! Just in time too: the Wednesday meeting at the Ontario Science Centre? They'll be carding people (on this occasion). Posted a note to the CAO supervisors group with a recommended procedure that Ian W and I had considered for the new RC 'scope. 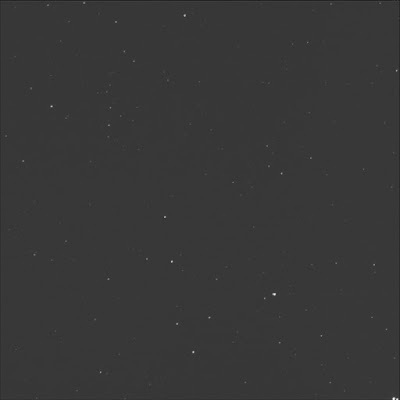 I spotted a tumbling or spinning satellite from 11:05 PM to 11:12. Picked it up around Mizar/Alcor and followed it to near Altair. It looked like it reach magnitude zero or perhaps a minus value a couple of times. Reported it on the RASC Toronto forums. I looked it up on CalSky and learned about the TELKOM 3 satellite. The path in Heaven's Above looked correct. Well. It's not really a campfire. It is backyard fire-pit fire. Anyhoo, Rhonda and I were enjoying the pleasant air temperature and clear skies, enjoying each others company, having a beer, and feeding the mosquitoes. Encouraged rho to try her SkySafari. I kept watching the sky for tumbling or flaring satellites. Caught something bright just over the house for a tiny fraction of a second. A fireball? Stumbled across a funny beer. Brought some home for Rhonda. Unfortunately, it is a rather tart IPA and neither of us are fans. So, I just had to drink it. Space Invader is made by Amsterdam Brewing Company (Canada). Did a bit more work on the observatory today. Installed the synthetic barrier material to the south gable, temporarily removing the vent Ian had just installed. Then I installed the north gable sheathing and fabric barrier. Learned from Grace that Jo worked on the design of the Cosmic beer label. Small planet. Saturday 16 June 2018. First light with the GSO Ritchey-Chrétian 16-inch telescope (atop the old Paramount ME Go To)! It worked. But the skies were not great. Still, we were happy. Millie, Grace, Sailu, Tony, Ian W, Dietmar, Thomas, and myself herded into the Geoff Brown Observatory. We viewed the Moon. Very nice. Ian did a walk-up hand-held iPhone shot. Quite good. Mare Crisium was obvious. Little Picard was stark. Ian and I were happy with the collimation. Pointing was wobbly. Had to manually align then sync on objects. 10:33 PM. Viewed something... I forget what... Jupiter? Saturn? Venus? I asked for Porrima. They entertained me, viewing a double star. Asked people about the colours. Ian asked for the 10mm eyepiece. I thought it was in the Tele Vue. Sailu and I talked about red stars. The Garnet was not my favourite. I created a new telescope profile in my SkyTools software. 16" or 41cm aperture. Focal length is 3251mm. Focal ratio is 8. It was nice to be able to use the optical condition of "very clean" for a change. New info sheets will need to be made up. I wondered about a galaxy. We headed for the Leo triplets. Sky not quite dark enough yet. Sailu and I talked about software. He used EKOS. We talked about kStars. Millie and Dietmar headed to bed. 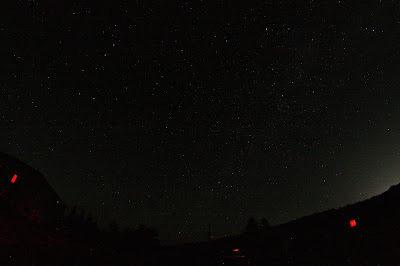 Sailu and I viewed M66, M65, and NGC 3628. We could see the dust lanes in galaxy 3628. Rhonda and I chatted by SMS. Told her we were enjoying first light. Everyone was gone. I considered my own programme now with the new OTA. Ian returned. Asked to go to Jupiter as the sky was better. A pretty good view. Slewed to HD 125906, a double star target. Almost exactly between the stick figures of Virgo and Libra. 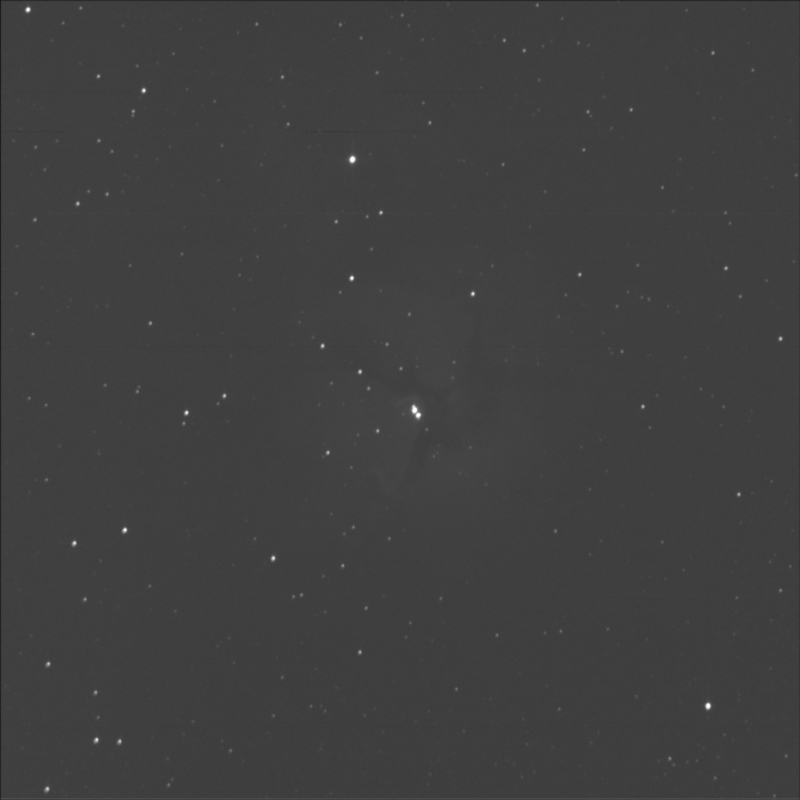 Suggested by the ST3P software from the Nightly Observing List Generator. Nice. Noted the tight pair in the centre. Noted a pattern of stars up and right for me (north), evocative of Auriga. 11:18. Reviewed the Virgo star field in SkyTools 3 Pro after ensuring I had the GSO 16 active with the Tele Vue 27 Panoptic. First use of the new telescope configuration with the atlas screens. Nice. Working well. A triple. The brighter star was to the right or north. The B element was a touch fainter. Magnitudes 6.8 vs 7.5. I did see a faint star to the left or south. 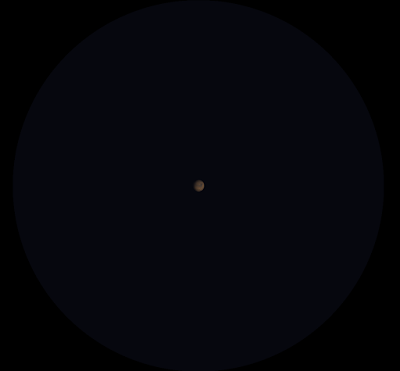 The closest star of the Auriga pattern was PPM 197487. I saw a faint star between in and the AB: GSC 5562-648. Slewed to Jupiter... Started verifying the field. Thomas dropped in. Told him I was going for Himalia. Helped Thomas. Guided him to the three vertical stars (north-west to south-east) with GSC 5577-564. Nearly equidistant. The top was slightly further. There was a brighter star to the right or north-east: GSC 5577-566. Further north-east GSC 5577-273. A bit fainter. Left or south-west of 566 was the moon. About the same brightness as the dimmest of the three vertical stars. I saw it again, briefly, with averted vision. 11:39. Got it! Happy about that. Very happy. So my plan worked, using the new 'scope, that Ian suggested had 30% more light gathering power. The mag limit of the new 16-inch 'scope is 16.5; Himalia is 15.1. Asked Thomas what he wanted to look at. He had no preferences. I noticed the handle of the Big Dipper up high. Suggested M51 (Messier 51). Ian W arrived for a look at the elusive moon. Thomas called it a night. Slewed to a new target. The Ring Nebula (M57, Messier 57). Lovely. Lots of detail in the nebula. Could not see the star. Ian chose M27, the Dumbbell. Big! Very nice. Bad point. I panned to it using the 101. Ian wanted to look at it with a UHC but I couldn't remember if we had one. Regardless, he liked the view. Ian wanted Saturn... OK, fine. We chatted about the new observation work for Sunday morning and general CAO close-out Sunday afternoon. Added M51, the Whirlpool, to my list. It was pretty spectacular. Thought I could see The Bridge. Synced then slewed to M100. Didn't see anything so I picked a bright star nearby. Synced on Denebola. Then back to the galaxy. OK. Super faint. No interesting field stars. Large. Lots of averted vision. Face on. Nothing like M51. The single bright star was HD 107726. Sounded like Ian was closing up. 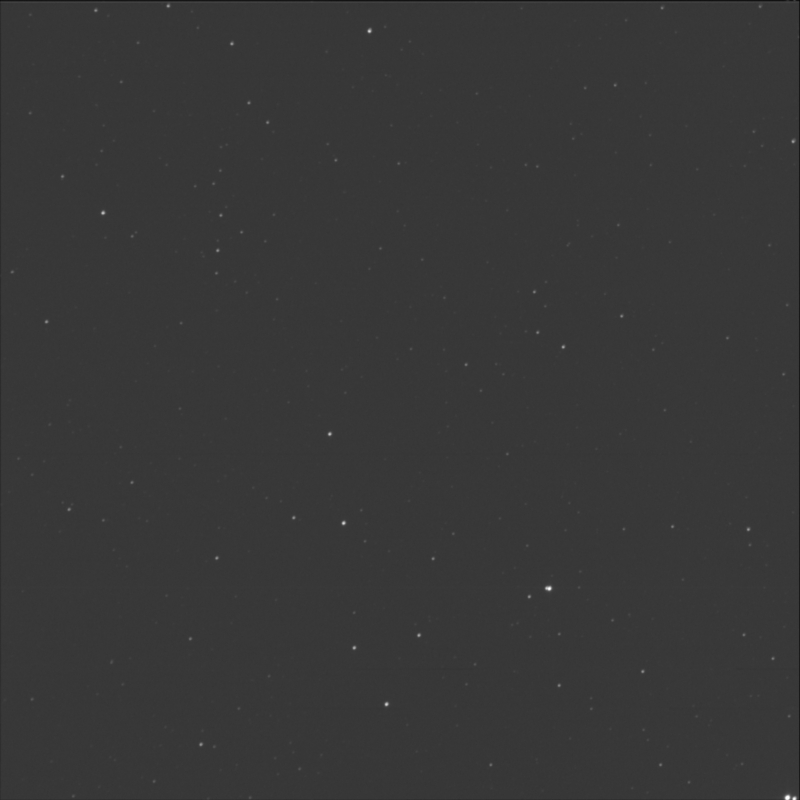 Tried for the comet again, C/2015 O1, in UMa. 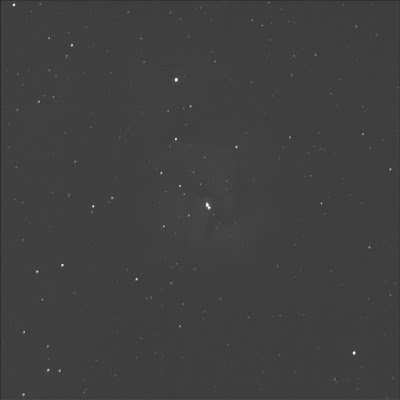 Used NGC 4088 to start. A mottled galaxy, 4088. Canted. Bright star nearby. Streaky bright small galaxy "over there" (to the south): NGC 4085. The comet should have been above or north of the galaxies. Near a backwards L. Nothing obvious. It should have been near the mag 13.2 star GSC 3457-80. Nope. 12:43, Sun 17 Jun '18. I was tired. Considered eta CrB. I had seen all the elements. Still it was on my View Again list. And it is a Fast Mover. Synced and slewed. Tough. Told the software I had the 10mm installed. West to the 8 o'clock position. I saw a rod oriented west-east. 0.4" apart as of May. 3 hours left on the recording. 12:57. Chose HD 85458 in UMa. Used the HIP number 48369 in TheSky. Cool! Beside Bode's. Switched back to the 27mm. Probably not a good candidate. Really faint. Hold the phone. A quad. A and C are oriented north and south with A to the south. C and D are a close pair but easy. In the TV101 one can see the A and C. In the RC16 all four stars are visible. A and B are 2.1" apart. Wow! Fun with the galaxy right there. OK. It's a keeper. That was a ton of fun using the new telescope. After I filled the voids at the bottom of the rafters with small pieces of foam insulation, Ian and I installed the metal roofing and ridge plates. I built custom beds to help us work comfortably and safely with the slippery surface. Ian and I collimated his RC 'scope. More challenging with the controls on the secondary mirror. Ian W and I collimated the new GSO Ritchey-Chrétian with his Takahashi tool. The new 'scope was off a fair amount explaining the difficulty focusing on terrestrial targets. Photo by Grace with Tony's camera. Dietmar configured the Paramount with the centre laptop. Some of my stuff had been moved around. 9:48 PM, Friday 15 June 2018. Helped Thomas with some photography. He couldn't reach focus in the refractor with his camera. Gave him our extension tube. Ready to go. Dietmar dropped in looking for Thomas. And Thomas's phone rang. Showed Dietmar the blinkie thing in photo 7922, captured at 10:37 PM last night. Heading down the spine of Cygnus. If it was a low-Earth object it might show up photos 90 minutes later. Started checking the images from 11:00 PM. Thomas left to pick up the yogis. Asked him to let Ian W know. Reminded him to ask the visitors to park their car(s) northbound. Called to Katrina, "Come quick!" I wanted to show her my photo. She was on the Observing Pad with her Starmaster. Probably a plane in my shot. We wondered if it was a Soyuz rocket but they don't have flat surfaces. Ian W popped by. Said about 5 people were due. Dietmar and I agreed the pointing was way off. I suggested redoing things to see if it would improve. Katrina invited me to look at Jupiter. The Great Red Spot looked amazing in the big Dobsonian. Good detail on the surface. 10:14 PM. Katrina's 'scope. Jupiter. The GRS. And a shadow transit! Noticed the crazy blue light inside Dietmar's car. Neat colour in the overall shot. Pointing was still off. Maybe his file got damaged. We tried my account. The target icon was off so I was encouraged. He slewed to the Moon. It worked. In the ballpark. Found a meteor in one of my shots (7986). Made a note to get darks for the run last night. 10:40. 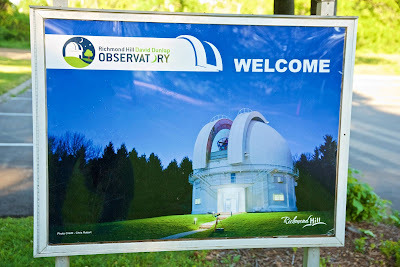 Fran, Sara, and Roh visited the Geoff Brown Observatory. We showed them Jupiter. Thomas and Dietmar assisted them at the telescope. The super was curiously absent. Rohini asked if they could take photos with their smartphones. I retrieved the iOptron bracket from the house. Challenging aligning it. But figured out some cool tricks. Align the ocular over the camera. Shine a flashlight down the telescope side of the ocular. Look for the camera facia edging in the ocular (it will be magnified). Align the ocular to the camera lens. Shine the light in the ocular. Look for a round image on the camera screen. Dietmar headed to Saturn. For a second, I thought it was Mars... Low. Millie dropped in to see the guests. Rohini asked for more camera help. Katrina called out. She saw an interesting satellite... I asked if it was the same thing as before, our mystery tumbler. Checked with the group at the C14. Visited Katrina. Recalled how Steve was tongue-tied on seeing bright meteors or satellites. Tony dropped in. We chatted briefly. He tossed his apple core out the door on the lawn. I didn't notice his banana peel was on the counter. The visitors joined us in the warm room. We talked about the software. We identified the moons of Jupiter. Callisto and Io were close. Recommended the SkySafari app, pointing out it was free now. They headed out. Reminded Thomas to have them sign the guest book. They were very thankful. Later, Thomas joined us. With Dietmar, we closed up. Attended (virtually) the David Dunlap Observation committee planning meeting in Ian's trailer. Shot more time lapse photos for the observatory build. Used Dietmar's neutral density filter. Along with the maximum aperture and lowest ISO, we were able to slow down the exposure to a fraction of a second. To create some blur. I worked mostly on my own on the observatory today. Released the rails from the supports. Made and installed the cross braces on the outrigger posts. Installed the vinyl siding on the west wall. Installed the insulation in the rafters. Cut the ends off the strapping. Later Thomas helped me install some support strips. The CAO team was looking for a piece of red film to cover the recently installed white light under the deck. I told them I had brought several pieces with me. 8:45 PM, Thursday 14 June 2018. Started the conversion of the CWIO time lapse photos, from RAW to JPEG, for Dietmar. 8:55 PM. Did some work in Ian's shed. Copied my DDO time lapse JPEG images to his computer—almost 7000! Took them straight from the CF card. 9:02 PM. Helped Wayne with his pod. 9:14. Started the download of Shotcut 64-bit to Ian's machine. The mozzies found me. 9:22. Pulled the EC weather data. Current Conditions. 19°C. Observed at: Collingwood. Date: 9:00 PM EDT Thursday 14 June 2018. Condition: Not observed. Pressure: 101.4 kPa. Tendency: Rising. Temperature: 18.6°C. Dew point: 8.4°C. Humidity: 52%. Wind: W 7 km/h. Forecast. Tonight. Clear. 9°C. Whoa, single digit. Fri 15 Jun. Sunny. 24°C. Night. Clear. 12°C. Sat 16 Jun. Chance of showers. 24°C. 40%. Night. Chance of showers. 18°C. 40%. Detailed Forecast. Forecast issued: 3:30 PM EDT Thursday 14 June 2018. Tonight. Clear. Wind northwest 20 km/h gusting to 40 becoming light this evening. Low 9. Fri 15 Jun. Sunny. High 24. UV index 9 or very high. Night. Clear. Low 12. Sat 16 Jun. Cloudy with 40 percent chance of showers. High 24. Night Cloudy periods with 40 percent chance of showers. Low 18. 9:27 PM. Checked the site weather. Wind: 10 minute average 0.0 km/h; direction NW; instantaneous speed 1.6; high 35.4. Humidity: 69%. Barometric pressure: 1014.6 hPa. Temperature: 15.7°C; high 19.0, dew point 10.0; inside 25.0. About 5 degrees from the dew point. Looked at the trends. The wind had tailed off. Humidity peaked Tuesday at midnight at around 85%. Air pressure troughed midnight Tuesday at 1010.0. Rising now. Reception tanked Tuesday mid-day, down to 94%. Something interfered with it. Still working though. Helped Millie at the THO. The top flap was stuck. North-east corner was resistant. Opened the angled flap from the outside. Saw Venus (without my glasses). 9:33. Looked at the satellite imagery. Visible. Thin wispy clouds. Looked like we were on the edge of a front. A big system was near Chicago. Switched to infrared. Superior was very cold; the centre of Huron. Continued the transfer of photos for Dietmar. About half-way. Set an alarm to start the capture of wide field photos around 10:30. Considered more targets for the evening. 9:46. Millie popped by. She confirmed she was seeing Venus and Jupiter. Wondered about Mercury. I said I didn't think it was visible... She asked if I was going to be doing doubles. A little bit of everything! I hoped. She talked about some of her goals with her small refractor. She vaguely recalled an 8-star system in Cetus or Cass that we had looked at in the C14. I pulled my life list. The challenge is that I have looked at a lot of stuff... 85 pairs alone in Cassiopeia. Activated red mode in SkyTools. Copied some items from my double star candidate programme list. About 15. Headed to Ian's observatory again. Meltytech Shotcut worked slightly better this time. Still crashed on first start. Drag-and-drop of all 6800 files worked, albeit really slowly. And once again I noticed it does not put the files in the same sequence the file list which means re-sequencing would be required and doing that by drag-and-drop would be insane. 10:18. Felt cold. Considered more layers. Closed the warm room windows. Returned to the GBO with more clothing. Also had my jacket this time! Started the Paramount and TheSky. Switched to Real Time in SkyTools 3 Pro. Slewed to Jupiter. Got a sugar hit from a soda. No booze tonight. The image conversion was proceeding: 277 of 316. Pulled up the Current Events info in ST3P. Never noticed it before but red light mode doesn't work well in this tab. The blue text disappears. Noted an elongation of mag 14.4 Amalthea at 2 o'clock. Huh. Made a calendar entry. Phobos elongation at 3. Um. Reactivated my main list. Suddenly noticed the location was wrong; it was on Cupcakes. Broke the computer connection, reset to the Blue Mountains spot, reconnected. Tried slewing and didn't think it right; it was fine. A meridian flip confused me. Went to Porrima, partly to test things. Used TheSky6 to do the slew. On target, no problem. Looked in the TV: wasn't sure. Easily split in the Celestron 14-inch, with the 27mm. Same colour? The one on the left looked orange for a moment. Spotted a somewhat bright star inline. Pale. Flipped the mirror on the Tele Vue 101mm refractor to be the same orientation. Matched the field. The tight pair looked like a snowman. Not a clean split; but clearly not a single star. HD 110381, south or left for me. Seeing was off. Added the double star to my observing list. 10:54. Looked up the details of γ (gamma) Virginis. Separation was 2.74" as of May. Noted it was a multi-star system. Headed back to the oculars. Reset things in SkyTools. Saw a blinking X on target. Good. A few things... The Henry Draper star is the E companion of this 5-star system. Equal brightness, A and B. Orange and white. Pale orange, left; the other looked white. Colourless. D was to the east. No problem. Noted the outlier, HD 110298. Why would this bright star not be included? Could not see C. Tried again. Dimmed lights and screens to improve my dark adaptation. Turned on the dew heaters and installed the wraps on the eyepieces. Could not see C. There was a star north-east of D, GSC 4949-1097, which would make a line to C. I also saw the J-star at magnitude 13.1 to the south-east of AB, closer than E, which C would be between. Strange. ST3P says Struve 1670 C is magnitude 15.1. Too dim for the conditions and challenging in the old SCT. 11:04. Found a message from Ian about his trailer jack, in case I wanted to lift the observatory roof. Rhonda pinged me. Updated her on the building progress. Looked at Denebola. Just above the 2 airmass line. Looked like one star. In a big V-shape of stars. SkyTools wasn't even showing the B star... ST3P said B was mag 15.7. Oh. That's why. I had seen D in the southern arm. Easy, of course. Saw GSC 870-160, the north-west element in the wide pair, NW of AB proper. ST3P said it was mag 13.5. I got the star in between! NNW. SkyTools said this was GSC 870-167. But mag 15.7. That can't be right. Noted PPM 128588 to the east. Tried for BU 604 C again... Could not see it... ST3P said it was 13.2. Why couldn't I see it?! This is a tricky one! Maybe it should not be on my candidate list. 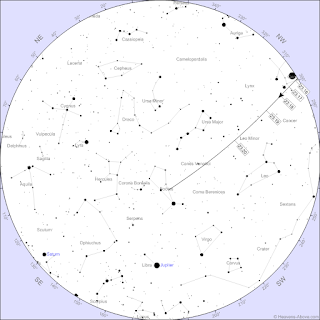 Being mindful of the meridian, I slewed to HD 92370 aka Σ1460 in Ursa Major. 11:26. Interesting! Very dim in the small 'scope. At first I didn't see it. A tight double. Very faint. The one on the right looked slightly dimmer to me. 3.8". Noted a bent line of stars on the west edge of the FOV. West was up. Neat shape of stars, like a funnel. ST3P said the left one was dimmer, mag 8.8 vs 8.0. Effectively the same. Nearly oriented north-south. Super-tight. Easy in the C14. No colour per se. Equal colours. The double is in a right-angle triangle. Faint star on the 90 degree bend. An automatic suggestion from SkyTools. Huh. ST3P suggested I look at Amalthea. Someone was fiddling with their car in the parking lot, triggering the lights. Multiple flashes. Sheesh. 11:34. Millie dropped into the warm room and said the tumbling satellite would be visible in 9 minutes. I asked her how she knew that. She was going for someone's logged entry time. I shared it had appeared at different times. Her guess would be as good as mine as to when and where. She headed out to watch for it. Slewed the Paramount to NGC 3088 B.
Freakin' nasty. I suspected I was seeing A. I knew I was on target with the medium bright star SAO 81939. But I thought I only saw one fuzzy. 11:41. Wow. Saw both! Added NGC 3088 A to the list. Arp 87 in Leo. B to the right or north was dimmer and smaller. Opposite from the SAO star. Well separated, the two small galaxies. Surprising I got them given April is the best time. Lost the blinking X again. Fixed. Slewed to NGC 4884 in Coma Berenices. A Caldwell target. Considered checking on my camera rig. Lamented not testing my BDT. Interesting galaxy. Lot of stuff going on. SkyTools shows dozens of little galaxies in the field. Noted a bright star, HD 112887. Saw galaxy NGC 4884 in the centre of the eyepiece. Spiral with a bright centre. This was right or north of another big galaxy. I saw two faint small fuzzies above and below 4884. The little galaxy above or north might have been NGC 4882. Perhaps the one below was NGC 4898? ST3P said it was mag 15.6. Didn't seem possible. SkyTools says 4884 is an elliptical. The large galaxy to the west of 4884 was NGC 4874. Fainter than the right one. SkyTools says it is a lenticular. 2.5' by 2.1'. Would be astonishing to photograph this region. My DSLR seemed to be working fine. Tried checking for the remaining shots using the top LCD but didn't see a number... Thought it did that. Oh well. Dimmed the galaxy drawing colour in the software chart so to make it less distracting. Back to the big 'scope. Noted a keystone shape of stars with GSC 1995-1926 and Tycho 1995-1988 1 to the south. I think I was definitely seeing NGC 4898! Nuts! Could be included in a "two in the view" list. 12:00 AM, Fri 15 Jun '18. Visions of popcorn popped in my head! Couldn't find any popcorn kits! Boo. Returned with some spicy chips. Closed the doors and fired up the heaters. Slewed to next: ξ (xi) Scorpii. Nice! Surely I have looked at this before... Yes, showed as logged. On lots of lists, including Cambridge and Two in a View. On this evening's list for B, as B is a fast mover. Very, very tight. C is the easy split, at low power. The D and E stars below (south) as very far from AB. F is no problem. The software shows a star between E and F but I don't see anything there. On my candidate list which is brilliant. Tried more power. Stupid high power. Millie peeked in but didn't see me. Toasty in the warm room. Turned down the thermostat. I tried to convince myself I could see something below A, south. Orange-red fringe on the bottom. No black line. 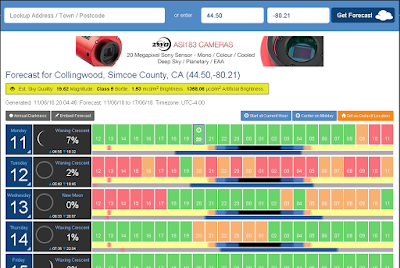 SkyTools said limited by seeing. A is pale yellow. C is orange. In a small telescope, A, C, D, and E were all visible. So a good candidate system. Looked for my next quarry. Close to where I was. On the same side of the sky. Commanded the ME mount to HD 144564 aka Struve 2007 in Serpens. A double star system I had added to my DS candidate list. Wide pair, easily separated in the Tele Vue; super-wide in the Celestron. Triple. C was well away, opposite B. The primary star was yellow with a hint orange while B was white. B is to the north-west. The C attendant was in an arc of stars. Easy triple. Interesting field. Good choice. Slewed to LY Ser aka ARY 11 from my candidate list so to double-check. A rather wide double. Orange primary. Noted the squashed triangle to the south. And a pair of stars to the north-west (not official). Went to have another look. The B star is easily seen in the small OTA. Not terribly exciting. 12:54 AM. Mars was up. Camera was still working. Slewed. Oops. Missed the button. Slewed. Returned to the gas giant. Ganymede was not visible. Headed to Messier 62 (M62). Low. Had to drop the wall. Very nice, the globular cluster in Ophiuchus. Smooth, diffuse, gradual brightening to the centre. Not particularly bright. Unmistakable in the small telescope. Seemed dark on one edge, the right edge. 26 000 light-years away. Millie dropped by. Wayne had gone to bed so I could close his pod. She offered to close the garage. She also apologised for walking in front of my camera. No worries! 1:17. Couldn't see the bottom star of Scorpius. Pretty amazing the three planets in the southern sky, nearly equidistant. Perseus rising. Saw a satellite near Polaris. Checked the current weather from the Davis weather station. As of 1:04 AM. Wind: 10 minute average 0.0 km/h; direction NW; instantaneous speed 0.0; high 0.0. Humidity: 78%. Barometric pressure: 1015.9 hPa. Temperature: 12.9°C; dew point 9.1. I thought it would be nice to stay up really late but I was fading. Returned to Jupiter. But could not see Amalthea. Shoot. Considered another target... Passed on Vesta. Scanned the list again... Nope. Done. Closed up shop. Activated the dehumidifier. A good night. Nothing earth-shattering. But good to get some doubles done. And to check off another Messier second-visit. And shoot better the north sky. Tried shooting the northern sky again. Opened up the lens more. And this time I took the lens cap off... This is a single shot from the middle of the run. Canon 40D, Rokinon 8mm, intevalometer, big tripod, f/5.6, ISO 1600, 45 seconds, daylight white balance, RAW, DPP. No tumbling brilliant satellites. A few airplanes. One meteor. No UFOs. Checked the conditions. Tonight was looking pretty good. 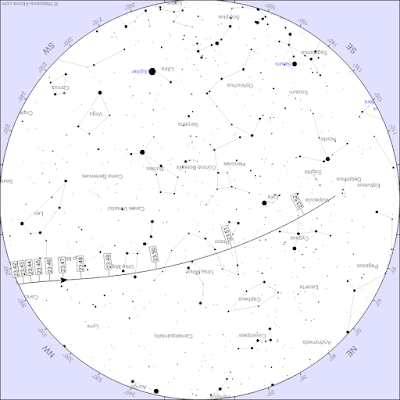 The Clear Sky Chart from mid-day. Shot photos of the build from mid-day to the end. So Dietmar could make a time lapse. Used my Canon kit lens, big tripod, intervalometer, one shot every minute, aperture priority, manually focused. Saved to RAW... That wasn't really necessary. Ian and I worked on the roof rafters and strapping. I handed him his coffee. Mary-Ann and I worked on the sheathing on the south gable. I completed the vinyl siding (save the top course) on the west wall. I installed the finishing strips and J-forms on the north wall. Millie and Dietmar arrived so we showed them what was new. Clear skies but super windy. No observing. Got more done on the new imaging observatory. Installed vinyl siding on the south and east walls. And did the little bit left of the door. Placed the rail supports atop the walls and installed the gables. Cut the rafters. Determined we needed the vinyl "finishing" strips for the top of the walls. Mostly Mary-Ann and I as Ian received some family from out of town. Some big weather came through around 2:00 PM so to retired for a time. 10:32 PM, Tuesday 12 June 2018. Checked the space on voice recorder: 12 hours. OK.
11:16 PM. Went for Himalia again. Left the observatory inner door open. Hopefully no bugs tonight. A text message came in... Funny timing. Rhonda asked if we were stargazing. I told her the skies were not great. Switched from the 55mm to the 27mm. Saw the star GSC 5577-185 to the west of nearer star to Himalia. SkyTools said it was a mag 14.3 star. Ooh. The mozzies found me... Went to the house for bug juice. 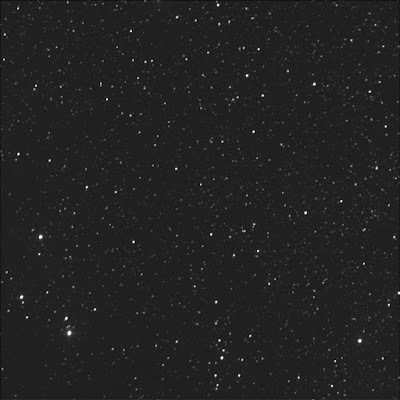 Tagged the dim star south of GSC 5577-367, a J-star, at magnitude 14.4. Going deeper. Made a note to look for Jovian shadow transits with ST3P. Hopefully there were some coming up in the next couple of nights. 11:43. Lost the sky. Told Rhonda. She asked if there were any fireflies around. Yep. I saw some last night. And tonight. Grabbed another Cosmic Cream Ale. And munchies. 11:57 PM. Pulled the Davis weather station page. Wind: 10 minute average 0.0 km/h; direction WNW; instantaneous speed 0.0. Humidity: 85%. Oh, high. Barometer: 1010.4 hPa. Temperature: 19.9°C; dew point 17.3. Close. Checked the ADDS in infrared black and white. Looped it. The lakes were still cold. Clouds everywhere! Disconnected from the mount and parked. 12:16 AM, Wed 13 Jun '18. Closed the roof. 12:28. Just noticed ST3P said Mars's moons are easy! Grace said that Tom thought the old CAO guest books might be in an archival box in the library. Marked "2000s." I reported to Grace that I had had a quick look. There were lots of archival boxes but only a few are marked. I didn't see a "2000" box. I looked in one randomly and it had really old stuff. One of the presenters cancelled for Wednesday 20 June so Paul Markov asked if I could step up. I have three slide decks in the can. So we settled on my barn door tracker topic. At the Ontario Science Centre of course. And streaming live. See you there. We worked on the observatory. Ian W liked my rail support idea so we built my simple support structure. Started at 8:26 AM. Extended the rails. Built the wooden roof supports for the roller wheels. Installed the barrier fibre material. Built the gables. I studied some YouTube videos to learn how the vinyl siding would be installed. Made a temporary bridge to access the deck from the east. Hmmm. Took siesta after noon and resumed work at 1:53 PM. Extra assistance from Mary-Ann and Chris M.
Rhonda sent me an interesting note. She had found a "workshop" by the Toronto and Region Conservation organisation. An astronomy workshop. At midnight! Wow. It is run at the Kortright Centre for Conservation in Woodbridge. $45 per person. The show starts at 8:30 PM and runs into the next day. 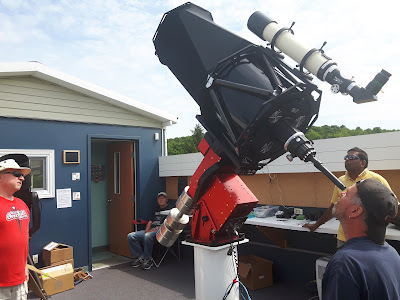 Participants get a talk, learn the sky in a portable planetarium, and then head outside to do naked eye, binocular, and telescope observing. Huh. Scott sent a note that Hydro One was planned an outage on Friday morning that would affect the CAO. I'd be on site. So I'd be able to monitor that things worked right. Be careful what you wish for. The Reliance alarm phoned my mobile about 6 or 7 times! I came up to the CAO primarily to assist Ian W. If I got some observing in, that would be a bonus. 7:49 PM, Monday 11 June 2018. I was ready to go! And it was only three hours to full darkness! Ugh. 8:04 PM. Turned on the mount. Removed the caps. 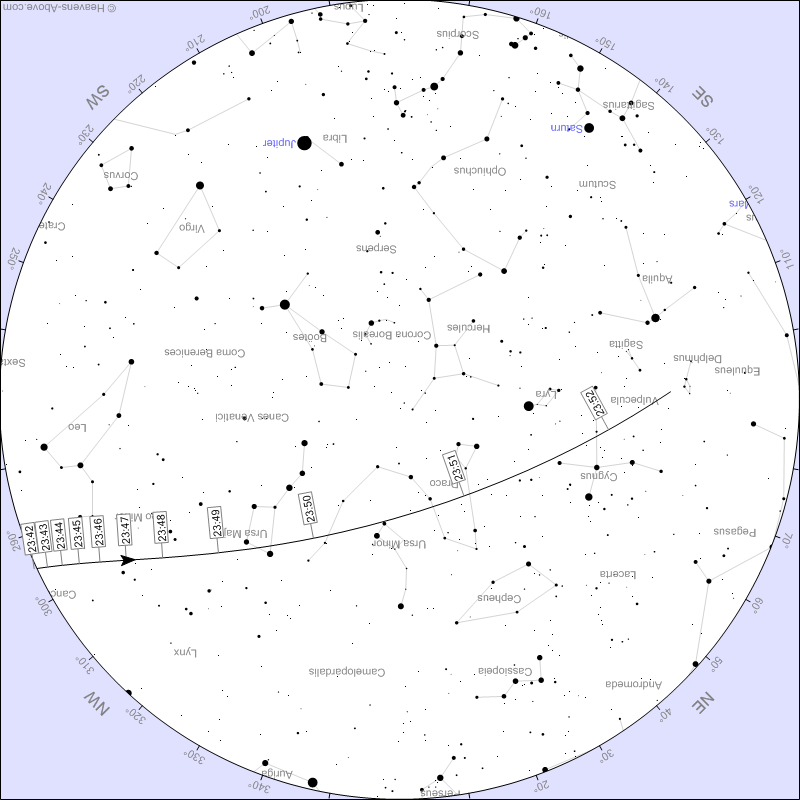 Looked at the Clear Sky Chart. Loaded up the Clear Outside page. Also good. Lots of green! 8:10. 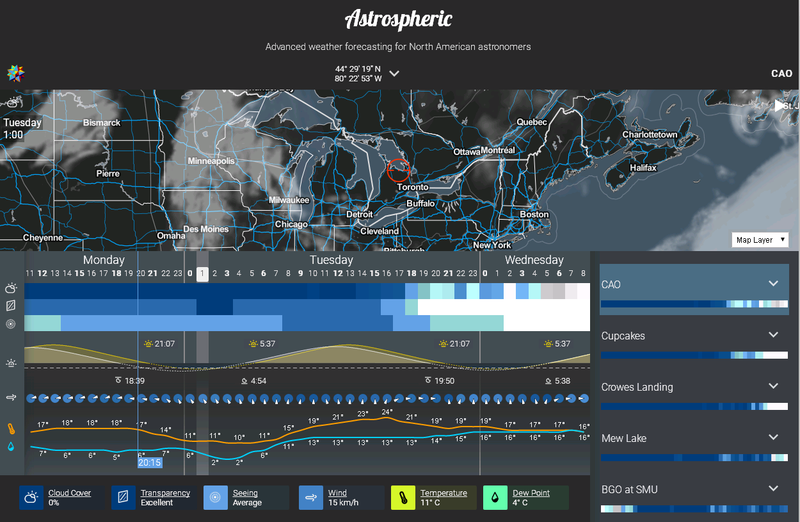 Pulled the weather data from the Environment Canada web site. For Collingwood. No Alerts in effect. Current Conditions: 19°C. Observed at: Collingwood. Date: 7:00 PM EDT Monday 11 June 2018. Condition: Not observed (i.e. no humans). Pressure: 101.8 kPa, tendency: falling. Temperature: 18.5°C. Dew point: 8.6°C. Humidity: 53%. Wind: NNW 8 km/h. Nice. The 24 Hour Forecast: Tonight, Clear, 11°C. Clear, Tue, 12 Jun, Mainly sunny, 28°C. Night, Chance of showers, 17°C, 60%, A mix of sun and cloud. The Detailed Forecast: Issued: 3:30 PM EDT Monday 11 June 2018. Tonight, Clear. Low 11. Tue, 12 Jun. Mainly sunny. Increasing cloudiness late in the afternoon. High 28. Humidex 33. UV index 9 or very high. Night, Cloudy. 60 percent chance of showers late in the evening and overnight with risk of a thunderstorm. Low 17. 8:35. Considered trying to spot the tumbling or spinning satellite in a photograph. So I set up the camera and tripod between the GBO and the Observing Pad. Connected AC power. Aimed north with the fisheye. Connected the intervalometer. Loaded a new/different memory card. Set the 8mm lens to f/8 and infinity. Couldn't recalled a good exposure so I reviewed my notes from August 2015. Programmed a 30 second exposure. Set the camera to bulb, ISO 1600, daylight. Ready to start. 8:52. Ian D, Ian W, Wayne, and myself gathered at the Observing Pad. Helped Wayne with his polar alignment, discussing the alt-az controls. I wondered about dew fighting with the camera rig; I wanted to know the expected dew point. Astrospheric showed the air and dew temps getting as close as 5 degrees, around 10 or 11 PM. But then the dew point dropped very low... Decided to not worry about it. 9:07. I found the stink in the GBO! A dead mouse on the telescope pier stand. Went to Jupiter. The telescope was way off target! [ed: I didn't notice it at the time but I had the wrong observing location in SkyTools.] Went to Venus. Had to sync in TheSky6 to improve the pointing. Returned to Jupiter. On target again. SkyTools seemed OK.
Could see the gibbous phase on the second planet. The air seeing was bad on Venus. 9:19. Viewed Jupiter. Seeing bad on Jupiter. Could see three moons. Two moons in the big 'scope, with the 27mm Panoptic, were "below" or to the west: Europa and Ganymede. Io was opposite to the east. Callisto was way out there. Yep. Spotted the fourth moon. Reviewed the tumbler messages from Katrina and Chris V as well as the observing notes from Rhonda and I, looking for details, a pattern, times... Wondered when I should start the photo run. Had another look at Jupiter. The seeing was getting better. Considered Himalia. 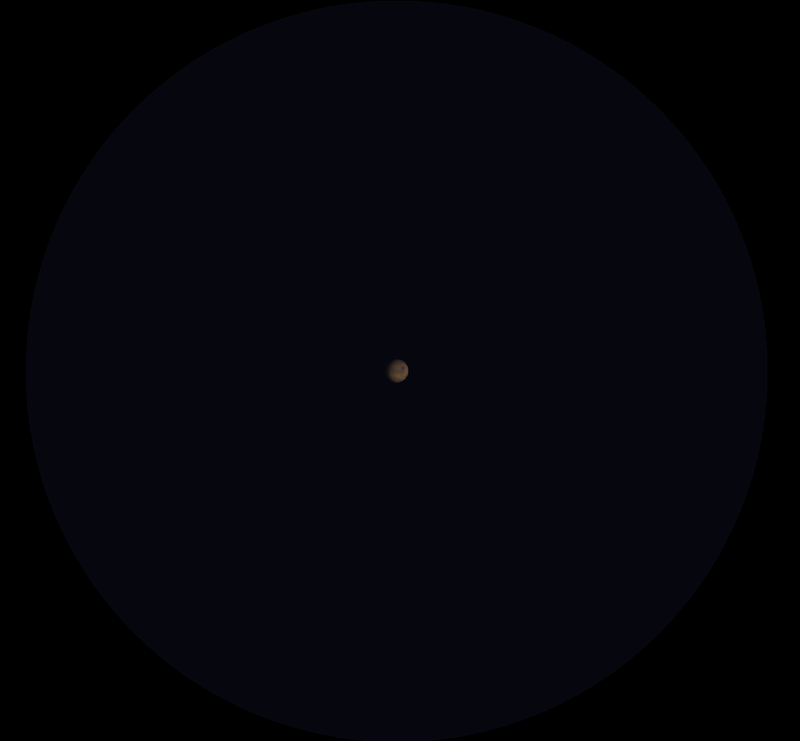 It's a rather dim moon around Jupiter but it is in a large orbit, possibly easier to see than Amalthea which is very close to the host planet, and consequently difficult to see through the glare. SkyTools is really good, right? Huh. 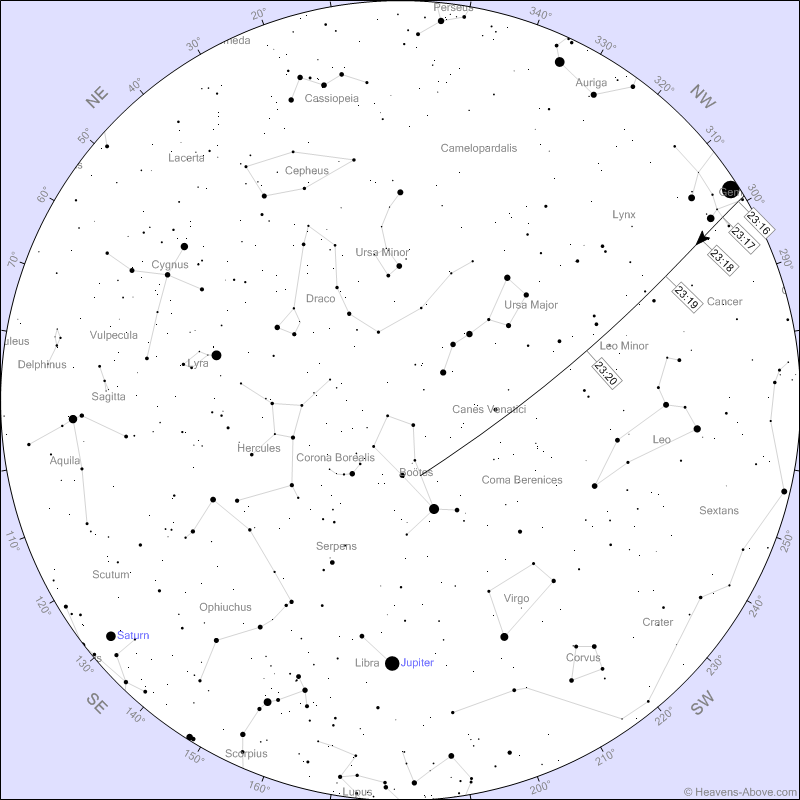 SkyTools showed it would be visible at 10:55 PM with the C14 with the 27mm! Intriguing. Remembered the camera memory cards were reaching max capacity. Made a note to clear them out. 9:42. Opened the local CAO weather page. Schlanger. Stale dated. Went to the house to reboot the server. Returned with a snack. Adjusted the SkyTools site conditions, temperature and humidity. Ran the NOLG to get some evening suggestions. Tried to connect to the house server from the GBO but couldn't access it. Had someone else changed the system? Or was I using the wrong/old password? Ah ha: the latter. Ensured all the services were running. Logged out. Davis weather station as of 9:49 PM. Wind: 10 minute average 9.7 km/h; direction SE; instantaneous speed 8.0; high 38.6. Humidity: 53%; was as high at 70. Barometric pressure: 1016.7 hPa. Temperature: 16.3°C; dew point 6.7; inside 22.3. Historical charts had not updated. Continued working on my observing list. Considered some Arps. Tried "off the beaten path." Pulled from my Caldwell list. Reviewed my View Again list. A good mix, with 91 objects... OK. Went to the 'scope to have another look at Jupiter. Higher now. 10:32. The seeing was better. Tried for the faint moon Himalia. Wayne popped in. He reported loosening the large centre bolt did the trick; he was now able to move his EQ mount in azimuth. I opened the SkyShed Pod clamshell for him. 10:41. 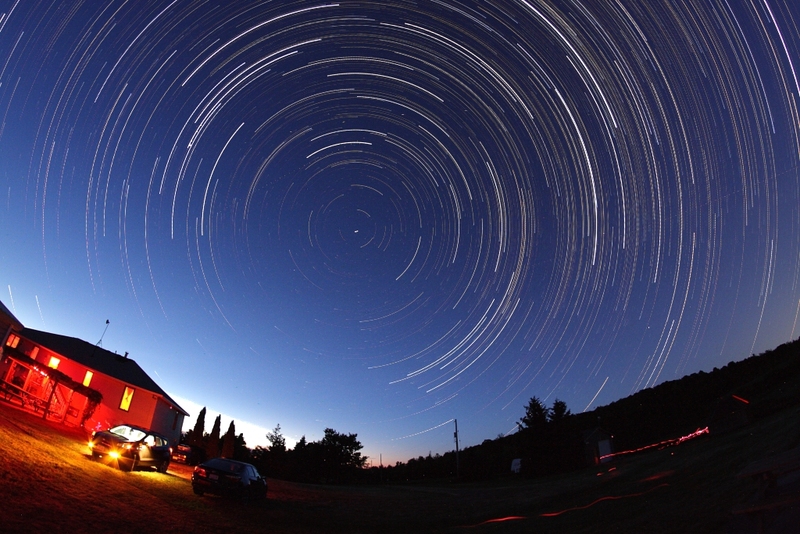 I started the star trails, time lapse imaging run aiming north-north-east. Ian W and Chris M were on the Observing Pad. 10:42. Rhonda messaged me. She included a photo of the envelope from the ministry! w00t, it arrived, my volunteer service award stuff. I asked her to open it. I left the GBO. I was cold. Ian W came lookin' for me. 10:54. She sent photos of the contents. An attractive colour certificate. Gold pin. Nice! Returned with more layers on, including long shirt and hoodie. And my toque. Thought I was seeing the L-shape of stars. Kept trying to identify the star field around Himalia. Ian W called out, "Bright satellite to the north-west." The alcatel froze. Crikey. Rebooted the phone. 11:15. I had to perform a meridian flip as I couldn't nudge the mount any further. Then headed by to the tiny moon. ST3P said the moon was 942 arc-seconds away. Closed and opened the Interactive Atlas to get the blinking X to reappear. Once again, west was down. Kept searching. 11:24. The meridian flip turned everything upside-down. 11:30. Adjusted ST3P. Used the IA chart, versus the Context Viewer, to simulate the view. None of the orientations worked, unfortunately. Decided to go after some deep sky objects. Moved the ladder and slewed to NGC 4236 in Draco. It looked like an edge-on galaxy. Quite large in the C14 but extremely faint. Oriented north-to-south. Noted two bright stars above or north-east. 11:39. Grabbed the 55mm ocular. Bonkers. It was a bit better, the view. Barely visible. Something interesting going on in the centre, reminding me of the Cigar. Noted a third star, HD 106925, to the NE. A Caldwell target. You are crazy Sir Moore. SkyTools said it was magnitude 10.1. Diffuse. 11:43. Ian D visited. Things were working with his SkyTools software after following my advice. He had forgotten to select the Real Time tab. Chose Hickson 68 in Canes Venatici. The galaxy group was not far away. Slewed. 11:45. It was good to see the Milky Way again. Pinged rho. 11:48. Neat. I saw three little galaxies beside a pair of bright stars. The two on the right (south) were brighter. They were touching each other. The north galaxy was bigger. The pair of stars (with HD 121197, mag 6.4, micro-variable) were yellow and blue! Huh. Spotted NGC 5371 with the TV Plössl 55mm. Well away to the east. Near two bright stars. Large. Obvious. Oval. Learned that the Hickson group was made up of a bunch of NGC galaxies: from south to north, 5353 and 5354, touching, then 5350 (aka Markarian 1485). I had to pan for 5371. I could not see 5355. Nor 5358. None of these were logged! Awesome. That was a good target. Slewed to the comet C/2015 O1. Same constellation. Spotted the pair of stars to the left (north-west)... Nope. Nothing obvious. 12:02 AM, Tue 12 Jun. Headed to the Blaze Star. ST3P said the magnitude changes from 2.0 to 10.8. Whoa. It has a period of 29,000 days. And the current magnitude is 4.4. Was I in the right area? Noted the double nearby... Not logged. Hmmm. 12:10 AM. HD 143707, aka H V 75, is pale yellow, almost white, and pale blue, quite dim. Much dimmer. An official double according to ST3P. There is a tight pair to the south-east of the Blaze Star. It includes PPM 104510. South of it is PPM 104511. Equally bright. Mag 10.9 and 10.6. The numbers didn't seem right. The Blaze Star aka T CrB showed as mag 6.4 in the chart when I hovered but it seemed dimmer than that. I liked the little triangle of stars to the east. With Tycho 2038-222 1. Moved to my next target: γ (gamma) CrB. 12:13. Pretty bright. Eyeballed a little gaggle of stars nearby. Eww. 0.37 seconds of arc. ST3P said it was not splittable. Period of 93 years. Decided to throw some power at it. 12:17. No joy in the 27mm. Slid to θ (theta) in Corona Borealis. Could not split it either. Separation: 0.8". Felt tired. It was getting close to 12:30. Big slew. Headed to Arp 330 in Draco. Wayne peeked in. He surmised I was around. He had completed his polar alignment with satisfaction but was tired. He needed to get into town. We headed to the pod to close the lid. Afterwards I went to the Pad. Mars was up! Saturn in Sagittarius. Scorpius was quite high. Chris M was not on the Pad; I noticed red light coming from the THO. 12:44. Oops. It helps if you take the lens cap off when you're shooting a time lapse... 211 accidental dark frames! The Arp group was very small. Near a bright star. Could not see anything. Nearby pattern of stars reminded me of a Space Invader sprite. Rejected Messier 62. Too low. Slewed to Saturn. Nice. Nice to be back on the ringed planet. Lots of moons buzzing around the nest. OK view; not great. 12:54. Looked for candidates on the east side of the meridian. Tried panning in the direction of the triad and beyond to reach M28. Fell into the Lagoon or the Trifid. An open cluster (on the left) and diffuse stuff (right). Saw lanes through it. Bumped into it, NGC 6520! 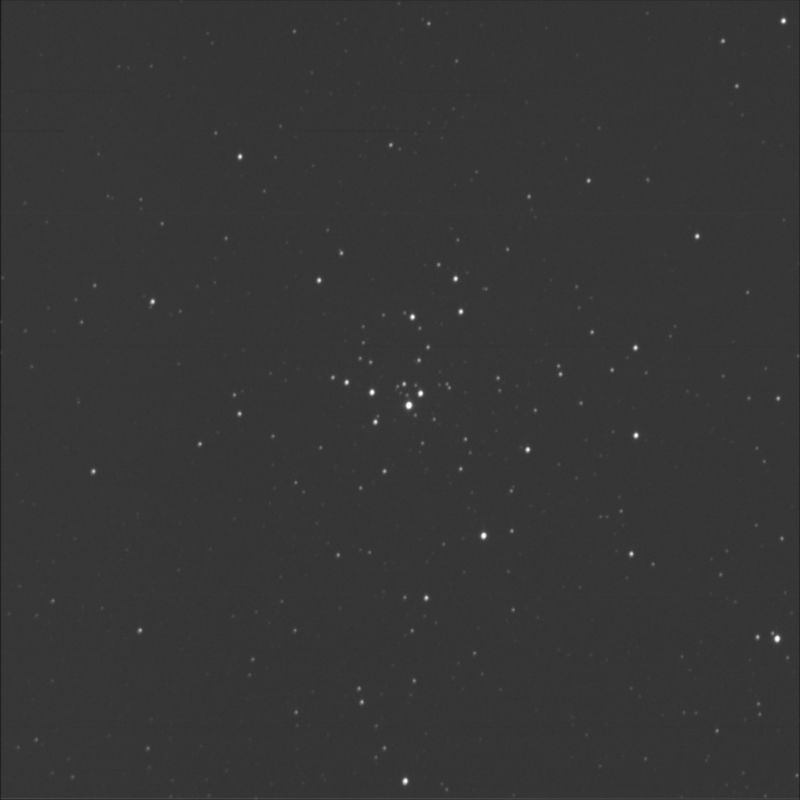 A small cluster in the 55mm in the C14. Orange star. A double (HD 164562). A bit of nebulousity? Quite small in the Tele Vue refractor. To the north-west, there was this orangey star. Noted a string of stars. 1:15. Nice. Blue white stars in the cluster, aka Collinder 361. Neat alignment of about three stars, equally bright. Seeing was not great. Plus really faint points. Streamer to the south-west. Equal pair to the north-east. Lots of stars in the field. At low power, a streamer off to the right. Really neat. Went out for one more look. This view of NGC 6520 marks the final NGC in the RASC Finest list! That was very exciting to tick this box. 1:25. Concluded the imaging run and brought the photographic kit into the Warm Room. 1:30. Shut down the computer. Locked the GBO. Headed to the house. In short order, I crawled into bed. 1:51 AM. Thanked Rhonda. My feet were warm tonight. Planet socks rock! Enjoyed Perez's sketches of NGC 6520. I had hoped to image the northern or north-eastern sky for a protracted time, perhaps to capture the tumbling satellite a few of us have seen. So I set up my rig near the Observing Pad at the Carr Astronomical Observatory. And proceeded to make several mistakes. I really didn't choose good exposure settings. The "light" frames are terribly underexposed. I had based my values on the star trails shots from 27 Aug '15 when I shot with the Rokinon 8mm lens at f/5.6, ISO 1600, and 30 seconds each frame. When I configured my camera this time, I set the lens to f/8. Oops. This dramatically reduced the light reaching the sensor. The hot pixels are as bright as the stars. Distracting. I manually inspected the 69 light frames. No obvious bright flares, spinning satellites, fireballs, or the like. Tech. info. : Canon 40D, big tripod, intervalometer, RAW collected, DPP, 16-bit TIFF files to Photoshop, manually subtracted dark, levels, curves. Told Ian W my modest proposal. An easy, fast solution. I reported to the CAO team I had opened all the equipment boxes. Offered to photo-document if necessary. I asked for the packing lists or order forms, from Dietmar and Ian W, to ensure receipt of all items. There were lots of bits in the Paramount MyT box. Overall, everything looks good. Helped Ian pick up the building supplies for the new observatory. Supporting the local hardware shop in Thornbury. Strapping, vinyl siding, insulation, fasteners, etc. Arrived the Carr Astronomical Observatory for a week's vacation as well as some astronomy. It's planetary opposition season! Also, I planned to help with the construction of the new imaging observatory—unofficially the Chow-Wheelband Imaging Observatory. Flying solo. Rhonda has a bunch of stuff to do on the weekend so can't join me later. Boo. Bumped into Rainbow Sue and Skylights Chris just before they departed the grounds. They were able to halt their close-up tasks. I took the reins. First time in years I updated the Fun Facts astronomy presentation for RASC Toronto Centre. Ian W had a look and enjoyed the updates, changes, and additions. We plan to run this automatic slide deck at the big DDO event. 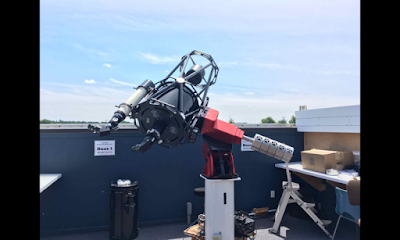 The edited final version of my SkyTools software demonstration at the RASC Toronto Centre Recreational Astronomy Night meeting on May 23 was uploaded to our YouTube channel. I added corrections and additional notes in the comments area. Mr Chapman put out the call to see who intends to continue on the RASC national observing committee. Lots of hands going up. Resumed reading DDO Doings. I had started reading the volume 1 issues some time ago but only got as far as number 6, from 1968. Tidied up my notes and spreadsheet on measuring double stars with the Celestron Micro Guide. Partly so to quickly demonstrate the use of the CMG. The Earth-Mars distance is 0.6 AU right now. That's approximately 90 000 000 kilometres. This will decrease toward opposition. The phase is 0.92 or 92%. That's very gibbous. It will increase. The magnitude is -1.38. Getting brighter. So the mag value will become a higher negative value. Current apparent visible size is 16" or 16 arc-seconds. This will increase too. Simulated view (from Stellarium) in a 14" SCT telescope with a 26mm eyepiece and a 3x magnifier. Remember Mars reaches opposition mid-July. Pedro sent out a note on the Starry Night Yahoo!Group. We recently made our SkySafari astronomy app a free download. You can grab a copy for iOS or Android. He shared links into the Apple App store (iOS) and the Google Play (Android) stores. He encouraged us to tell our friends that the powerful, easy-to-use planetarium SkySafari (basic edition) is now a free download. Rhonda and I watched a video (on YouTube) of astronomer Dr Richard Crowe. Mr Markov and I discussed future presentations I could deliver at RASC Toronto Centre meetings. We pencilled in 15 August for my barn door talk, "a barn door tracker with alt-az base;" and 10 October for a presentation on BGO, called "using the robotic Burke-Gaffney Observatory." Peter V shared on Facebook the photos he shot at the DDO last night. Copyright © 2018 Peter Visima. Sent Bhairavi my follow-up from last night. Overall, things went very well at the DDO, so it's just little stuff. Sent Grace some evening details for the Saturday 7 July 2018 members Open House and Awards Picnic at the CAO. Used SkyTools of course. Rhonda and I arrived the David Dunlap Observatory around 7:15 PM. We were to volunteer with RASC Toronto Centre in partnership with the Town of Richmond Hill. Noticed the development at Bayview, rerouting of the drive at Hillsview, the disappearance of the gate and gatehouse, the new tarmac up the lane, the new asphalt in the driveway, the painted lines. The excellent landscaping work! The place looked really good. Everything was clean and tidy. A handful of volunteers were already present. Bhairavi led us to our office space in the administration building where we assisted the volunteers. I unpacked the new t-shirts. They looked good. She distributed my prepared targets list to the amateurs on the lawn. Bhairavi was thrilled that I had brought my FRS/GMRS radios so I distributed 5 of them to the team. It was good to meet Peter V at last. Really good to see Kirsten after such a long time. We had enough people flying telescopes on the lawn so I was assigned to hall monitor duties and I guided visitors, answered questions, and kept an eye on the library. Tidied the office. Rhonda received guests at the parking. I helped Louis and Professor Delaney with some A/V set-up in the lecture hall. Started up a log note for evening issues. Venus was easily spotted over the trees to the west during sunset. Astronomers reported the phase was visible. We looked at Jupiter in Dan's apo. All four moons were visible. Cloud bands were obvious. Rhonda looked too. The seeing was not great unfortunately. Another operator was looking for Deneb but it was too low at the time. I pointed out Vega to help in their alignment. I thought the signage, posters, and banners by the town's media team were excellent. Professor Delaney's talk on "The Search for Planet Nine" was well received. Later, Rhonda asked to visit the library. We noted many books going back to the 1800s. Then she spotted a booklet and called me over. A report by Sarah Lee Lippincott on double stars. Neat! Then I guided Rhonda to the dome and we caught the tail end of Eric Brigg's talk. As I exited the dome, I readied for the final flyover of the International Space Station. I spotted the ISS behind the trees to the north-west and called out for all. As predicted, it rose up high in the sky and then faded into the Earth's shadow. I was with Rhonda, Paul, Eric, and Matt. Eric pointed out that Drew Feustel has dual citizenship. Everyone enjoyed my programmed scrolling LED badges. Rhonda's read, "Pleiades rocks! Rhonda. RASC TO." Of course, I configured mine to say "Double stars rock!" Perfect weather. Amazing conditions. We left the grounds around 11:30. Poorly designed street lights in the new development area. Passed "Telescope Gate" on the way out. Is that the new official street name? It was so amazing to be back at the DDO! A breath of fresh air. Everyone was so happy. It was an awesome evening and things went very smoothly. A new era. I am so excited to be a part of it. I had hoped to image the multi-star system HD 177648, one of the attractive suggestions from Coldfield list. I programmed the BGO robot with the target which it accepted. But then I noticed there was another system nearby. For the second time, I tried employing the OFFSET option with the imaging request. I shifted too far! It pushed my main target out of the view. Oops. You can just barely see it the bright wide AB pair at the bottom-right corner of the photograph! I was only left with HD 177783 in the field. This is a triple in Vulpecula. Below and right of centre. The B star, somewhat dimmer, is almost due east of the primary. A titch to the north. Very close. Almost touching. The C element is further along, about 7 or 8 times the distance, canted a bit to the south. This system is also known as BU 359.